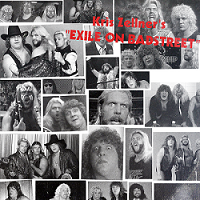 Kris Zellner is joined by Alan4L (DKP) to discuss the renaissance of Keiji Mutoh in 2001. We talk about where Mutoh was going into 2001 and how unbelievable it was that Mutoh had such a career resurgence that year. We talk about the key matches and angles that Mutoh was involved in during the year and hopefully we steer you to watch some of the great matches online because there were some real classics. This is a great show!! !